We’re so busy these past few days because my mom just came back from Norway. We were supposed to go to St. James Bazaar last Saturday but the traffic was so bad so after wasting our time in Commerce Ave, nag U-Turn na lang kami and we decided to go to airport to pick up my mom at baka matraffic din kami. We were so early so we waited for 2 hours. Of course, there is always pasalubong for the grandchildren. Aside from chocolates, my mom brought her handmade doll. 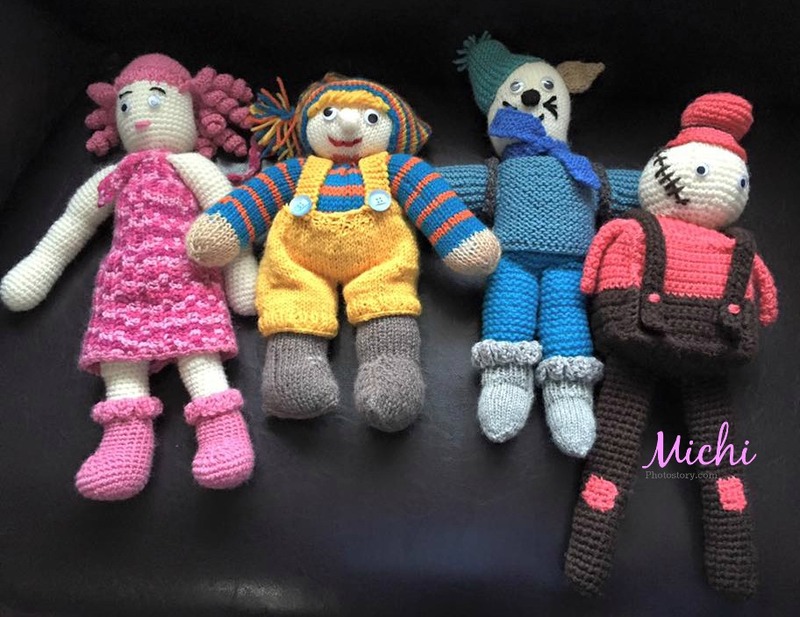 I don’t know how to knit or crochet but we we’re blessed to have a mom who have this skill. My mom made these dolls, rush order since biglaan ang uwi. Hehehe! 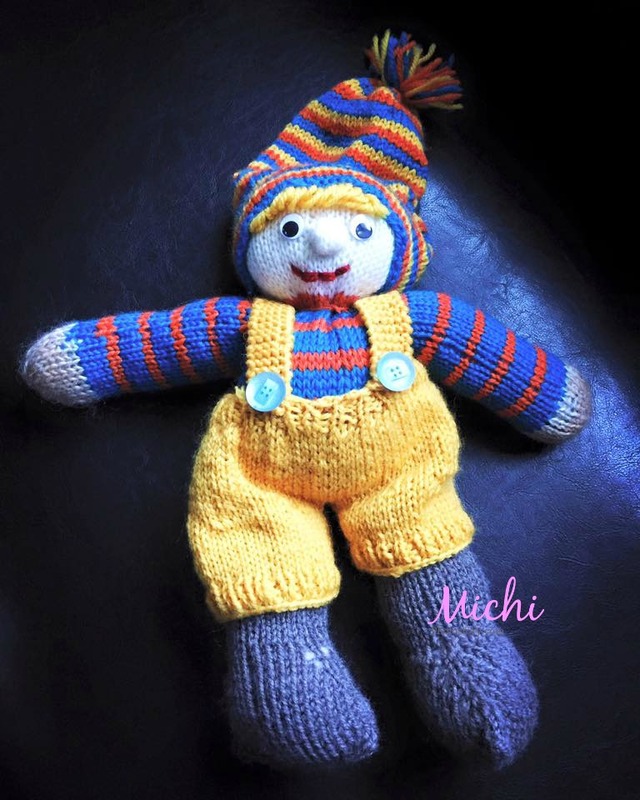 Two years ago, my mom gave handmade doll to my son but he was so curious so he cut the yarn to see what is inside the doll. Check it here. But I hope he will not perform any surgery on this doll. 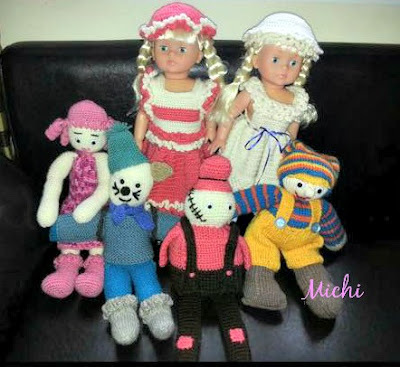 She is selling her craft in Norway and I told her to open an online shop. Hehehe! I want to learn knitting too. Kaso mukang mas mahirap yun sa crochet. aww! 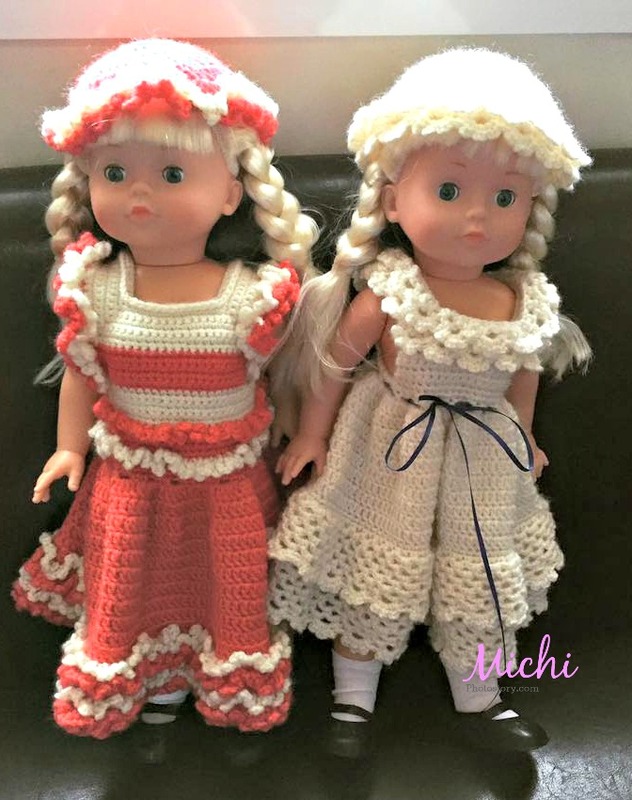 Cute dolls! Ang galing naman. Wala akong ka-talent talent sa ganito. haha.